I haven´t done a lot of SEO conference recaps lately, but I want to tell you about two conferences I attended just last month, that you should definitely know about. I´ve been travelling the international Online-Marketing & SEO conference circuit for well over 10 years now, and it´s quite interesting to see how the whole landscape has changed over time. I remember being totally blown away by the sheer size of the US conferences. My first "real" SEO conference must have been SES Munich 2003, which hosted probably just about a hundred savvy SEO professionals. No comparison to my first US conference experience, which has been SES San Jose 2005 – especially the infamous Google Dance (some pictures from 2005 & 2006). But the biggest show back in these days must have been SES New York, with presumably over 5.000 Online-Marketers and SEOs. I was truly impressed on my first trip to the Big Apple. 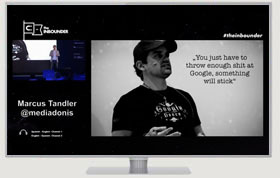 I would have never thought, that I´d end up being a speaker at both SES San Jose and SES New York. I think it´s safe to say, that the BIG conference days are over. A lot of the old school conferences have turned into sales shows, where speakers also have to be exhibitors / sponsors – so no getting paid to speak, it´s the other way around: if you want to speak, you have to pay! 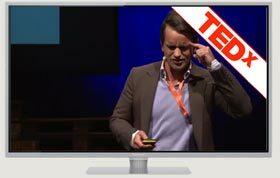 A common practice I truly despise, since you´re not really learning anything – you´re just getting sales pitched all day long. It seems that only the SMX franchise has prevailed, who run quite al lot of quality conferences around the world. Danny Sullivan and his team just know what it takes to host a great conference! But besides the SMX franchise, it´s the small, intimate shows, that really seem to be the future for this industry. Companies that don´t care about making money with those events, and really try to invite the best speakers on their stage. 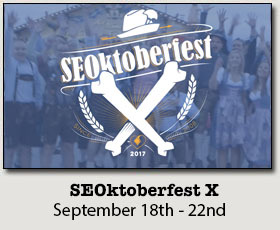 From bigger shows like MozCon, down to our SEOktoberfest event, which hosts only 50 savvy SEOs. It´s the intimacy that makes these events so successful. Last month I had the honor to keynote two new conferences that fall into this category – UnGagged London and YoastCon in Nijmegen. Almost five years ago, THE WordPress SEO Guru Joost de Valk started the company Yoast, offering website reviews and free plugins. Yoast’s core business was, and is, sharing knowledge and making it easier to create usable websites. Five years later Yoast has turned into one of the biggest WordPress plugin providers with 21 employees! To praise the past five years full of growth and experience Yoast decided to celebrate this milestone with a conference: YoastCon!